The proposed Aadhaar Bill, announced by Finance Minister Arun Jaitley in his Budget speech, might be introduced in the Parliament as a Money Bill within this week and, hence, will only require passage in the Lok Sabha to be enacted into law, Business Standard has learnt. While presenting the Budget on Monday, Jaitley had said the government would introduce a Bill for targeted delivery of financial and other subsidies, benefits and services by using the Aadhaar framework. “The Bill will be introduced in the current Budget Session of the Parliament. “The Aadhaar number or authentication shall not, however, confer any right of citizenship or domicile. “A social security platform will be developed using Aadhaar to accurately target beneficiaries. “This will be a transformative piece of legislation which will benefit the poor and the vulnerable,” Jaitley had said. Senior government officials said the Bill could be introduced in Lok Sabha very soon, perhaps, this week, and may be a Money Bill. It would only need to pass muster in the 545 seat Lok Sabha where the ruling National Democratic Alliance holds comfortable majority with 337 seats. The move to provide legislative backing for the Aadhaar framework arises from privacy and security concerns which have been raised for the platform. 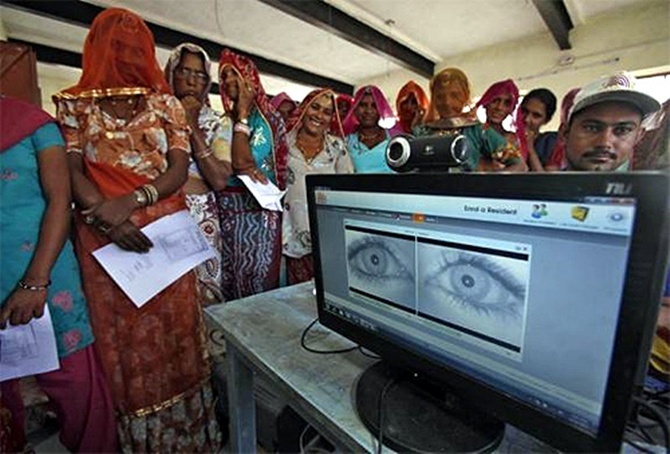 In October, the Supreme Court had said that Aadhaar could only be used voluntarily for social schemes like Mahatma Gandhi National Rural Employment Guarantee Scheme and for foodgrain public distribution and LPG subsidies. The government’s ambitious programme to link Aadhaar with Digital India initiative and essential services like banking and telecom was opposed because of fears of privacy breaches and data leaks.